North Korea's economy has shifted into reverse following the introduction of crippling international sanctions targeting its nuclear weapons program. Estimates released by South Korea's central bank show that North Korea's economy shrank by 3.5% in 2017. This year is likely to be even more dire. The isolated state does not publish its own growth figures. But South Korea has been compiling annual GDP estimates about its neighbor since 1991. The contraction is a sharp turnaround from 2016, when North Korea's economy expanded by an estimated 3.9%. It's also the worst performance since 1997, when Seoul estimated that North Korea's economy shrank 6.5% amid widespread famine. The data for 2017 show that North Korean exports — of products such as coal, iron ore and textiles — plunged almost 40% to just $1.8 billion. The average annual income of North Koreans was just 5% of that earned by people in the South, the central bank estimated. Some experts think the picture will be even bleaker in 2018. "The economy is likely to get worse," said Kim Byung-yeon, an economics professor at Seoul National University and expert on the North Korean economy. "I estimate this year's growth rate can be at least minus 5% if the sanctions are fully and thoroughly implemented." The United States pushed through a series of UN resolutions last year that significantly escalated the pressure on North Korea's economy in response to Pyongyang's repeated tests to advance its nuclear weapons program. The UN sanctions have taken aim at North Korea's exports, banning the sale of coal, iron ore, textiles and seafood. The Trump administration has also sought to deprive North Korea of the fuel it needs to keep its economy running. US measures have also sought to cut North Korea off from the global financial system, barring American banks from pursuing any financial transactions directly or indirectly with the country. China, which accounts for the vast majority of North Korea's foreign trade, has said it was enforcing the sanctions, despite skepticism from some analysts. 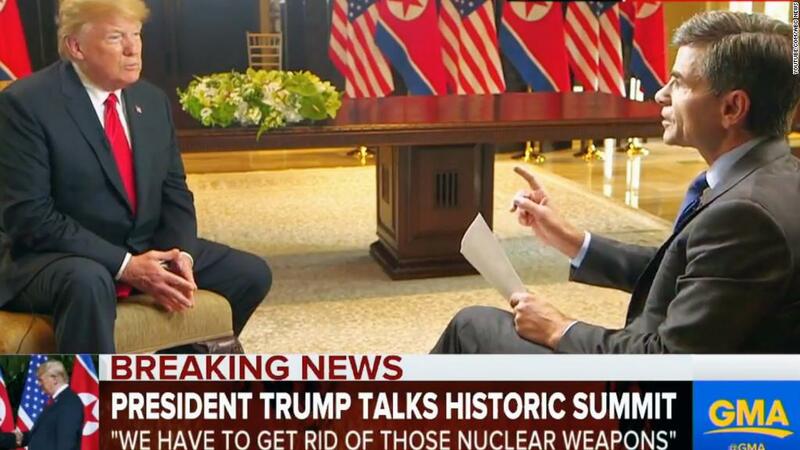 Following a summit with North Korean leader Kim Jong-un in Singapore last month, President Donald Trump said that sanctions would only be removed "when we are sure the nukes are no longer a factor." He acknowledged that could take a long time.